Wasser und Strom extrem teuer. Direkt am Schwimmbad, Toiletten sind dort nutzbar. 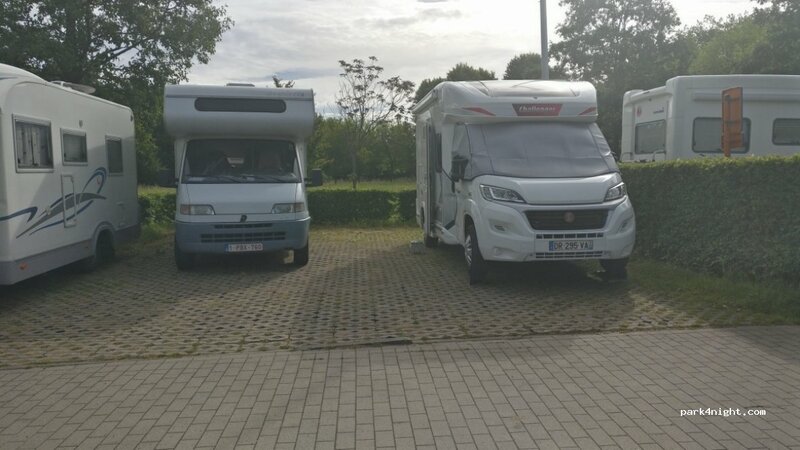 Platz für drei Camper wenn man sich eng stellt. Morgens war dort eine Schulklasse am joggen, nachts Jugendliche am trinken. 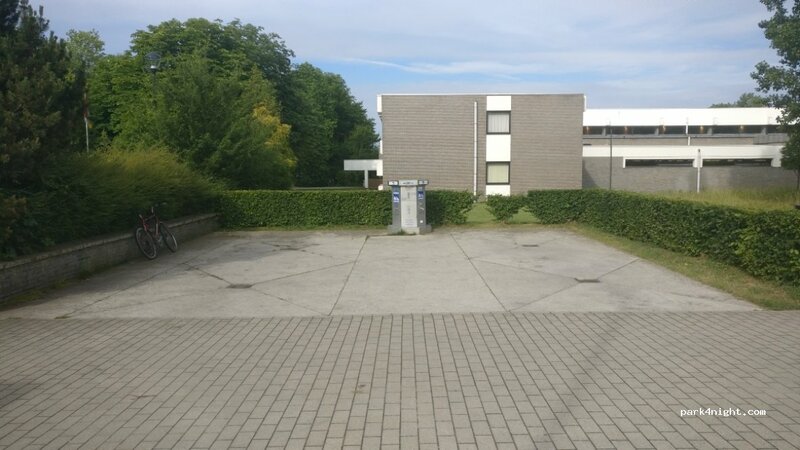 Very quiet location in a nice town, next to the swimming pool where you can use toilets during operating hours, showers are €4.5. Train goes to both Ghent and Brussels (30 mins €11 return). Fantastic Beer Bar 5 minutes walk with good food and beer. We stayed 2 nights without any issues. Recommend. Meerdere plaatsen beschikbaar, parking, zwembad. Douchen kan in zwembad. Rustige camperplaats voor max 3 campers, met service. Aan de rand van een klein park achter het zwembad. vlakbij winkels en op wandelafstand van het centrum van Aalst. Très bon endroit pour la nuit, calme, à proximité de la piscine, d'un parc, et de commerces. Officiellement 2 places mais à 3 ça rentre nickel sans être serrés. Je conseille ! Nice place to stay but not easy to find. signage poor. tucked behind coach bays. Jetons à la piscine. 5.50 € pour 55 mn d'électricité ou 10 mn d'eau. Bon endroit pour la nuit, 2 places seulement. Parking in the city center, near the police, calm and reassuring. Camping Groenpark. Small campsite, in the countryside, lake nearby. Rest Aera, gas station. Close to the main road. Noise. Both direction.